This is my first post in a series of examples of graphing using available technical tools, and today I feature the Matplotlib bindings from SciPy. It does a decent job of plotting, supports LaTeX in labels, and runs on Python. You will need NumPy and SciPy, both downloadable from the SciPy website. You can find the Matplotlib documentation to see how to make a scatter plot and many other types of graphs. legend() # This adds a legend using the "label=" part of the commands above. 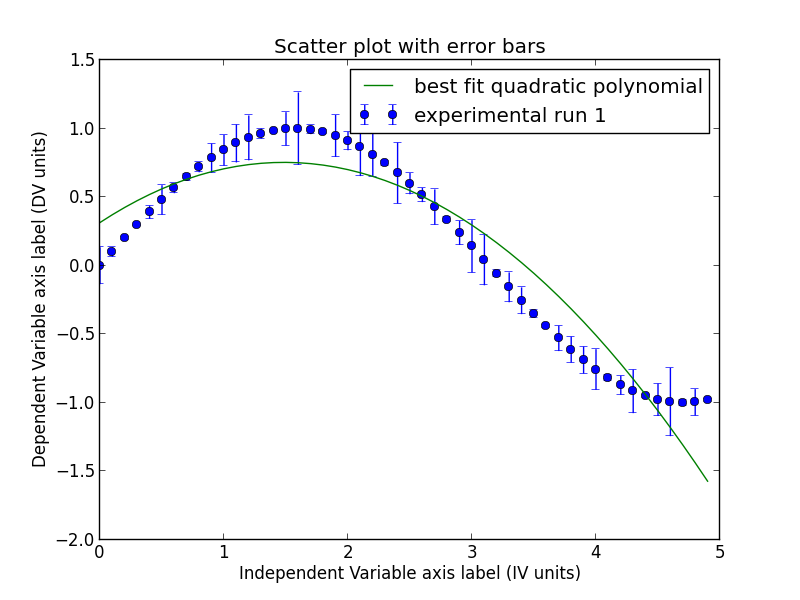 title('Scatter plot with error bars') # Be descriptive! What is the context?